Front loading washing machines are economical, environmentally friendly, and easy on your clothes. However, these machines are notoriously prone to mold growth. Usually people don’t see actual mold growth; the first sign of mold in the washing machine is a musty smell. Check out these tips on how to clean mold from the washing machine. The watertight front doors seal with rubber gaskets, which traps moisture and creates pockets that can harbor mold and mildew growth. Top loading washers don’t seal tightly, so air circulates more and prevents moisture buildup and mold growth. Laundry soap and fabric softeners can leave residue behind that act as food sources for mold spores, and cold-water washes don’t kill mold growth. Fortunately, with regular maintenance, you can prevent mold in your washing machine and protect your investment in your appliance. Clean the gasket. Use a cloth and hot, soapy water or mildew cleanser to clean the rubber gasket on the door of the washing machine. Be sure to clean all sides of the gasket, including underneath it. Rinse the gasket completely and allow it to dry before replacing it. Clean soap/softener dispensers. Remove the dispensers and clean them thoroughly to remove all traces of residue that can serve as food sources for mold. If the dispensers in your machine don’t come out, use a cloth to clean what you can reach and use a bottle brush to reach deep inside the dispensers. Rinse thoroughly. Run a cleaning cycle. Run an empty washing cycle on the hottest, longest setting on your machine. It may have a setting for machine cleaning or sanitizing. Add 1 cup of bleach, 1 cup of baking soda, ½ a cup of an enzyme dishwasher detergent, or a commercial washing machine product directly to the water. You may need to repeat these steps more than once to remove all traces of odors, especially if your machine hasn’t been cleaned in a long time. 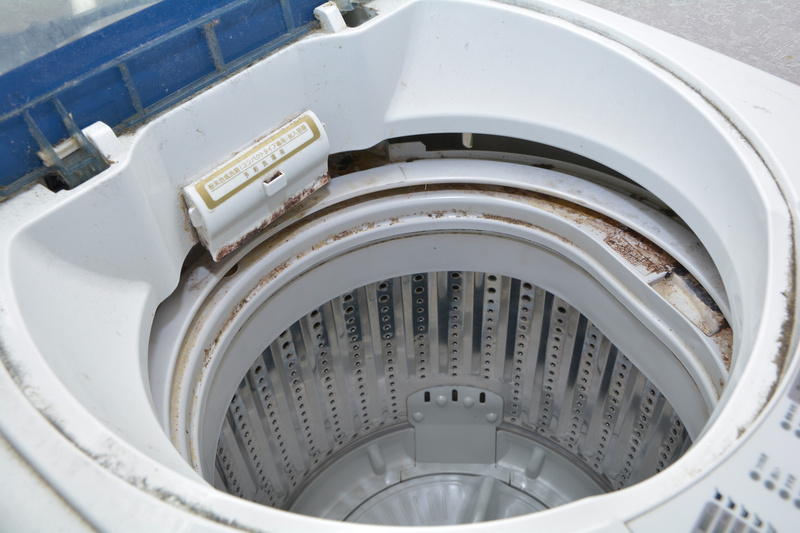 If you still have a moldy washing machine after several cleanings, you may need professional mold removal assistance. A repair professional can disassemble the machine to look for mold in other places and remove it for you. Let air circulate. Leave the door open between uses to let air circulate and prevent moisture from building up inside the machine. Do not do this if you have children and/or pets who could climb inside, pull the door closed, and become trapped. Remove wet clothes as soon as possible. Don’t let wet clothes stay in the washer for extended periods of time, especially overnight. Many washers have alarms that sound when the cycle is finished, so if yours does, make sure to use it and remove the clothes as soon as the alarm goes off. Make a habit of checking the washer every night before bed to ensure there isn’t a load still inside. Choose the right products and the right amounts. High-efficiency (HE) laundry soap doesn’t create as much suds as regular soap, so it won’t leave as much residue. Use powder when possible; liquid detergents tend to create more suds. Use only the amount recommended for your load sizes, or even less than what the label says. Modern detergents are stronger than the ones in the past, so you might not need as much as you did even five years ago. Skip the liquid fabric softener. It can leave a residue in the washer that leads to mold growth. Dryer sheets or reusable dryer balls soften clothes just as well; woolen dryer balls can cut overall drying time by absorbing moisture. Dry gaskets on a regular basis. Keep an old towel on hand to wipe around the door and around the gasket. They should be dried regularly, preferably after every load, to prevent moisture buildup and mold growth. Run a bleach cycle. Run a hot water cycle with a cup of bleach through the washing machine once a month. This will kill any growth that may have started or that you may have missed with other cleanings. Finding mold in your home or business is upsetting, but it’s important to remember that mold remediation is something that’s best left to professionals. ServiceMaster EMT provides comprehensive mold remediation services for clients in Henderson, NV. Our technicians have the training and equipment to safely remove all traces of mold without contaminating the rest of the area or exposing themselves and others to toxic spores. We know that mold can hide almost anywhere, so we use effective but safe products to remove them at the source, as well as repair or replace damaged surfaces. Mold testing and removal costs vary, depending on the size of the building and the amount of infestation. According to HomeAdvisor.com, the national average for mold testing is $679. 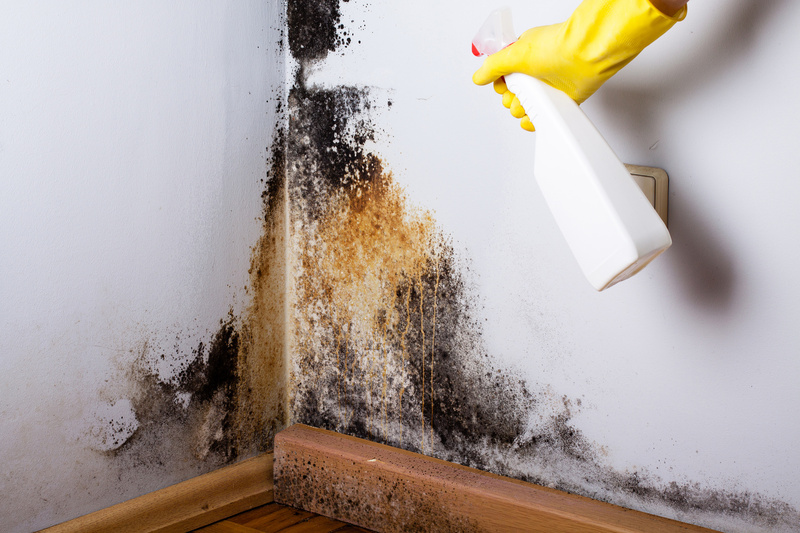 The national average for removing mold and toxic materials is $2,239. Previous story Black Mold Removal: DIY or Hire a Pro?